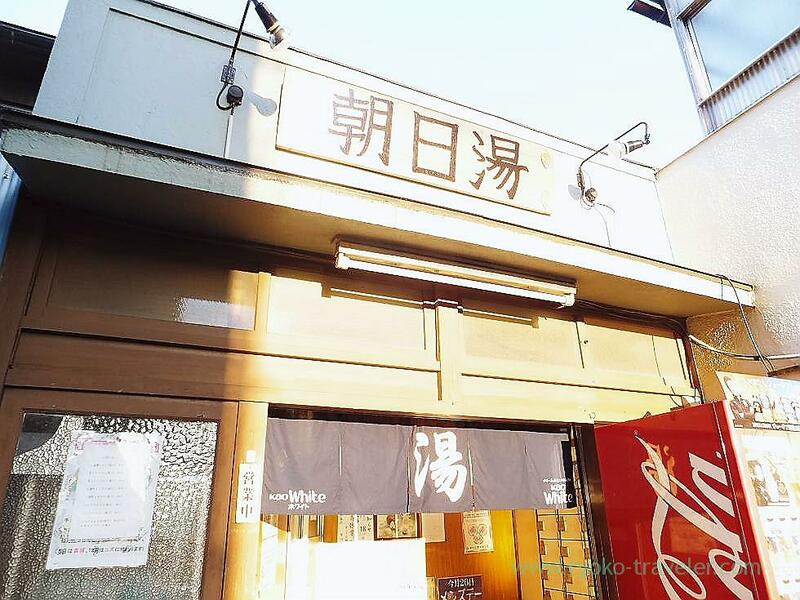 This sento lies between Keisei Kounodai Station and JR Ichikawa Station. It stands at rare of the alleys. 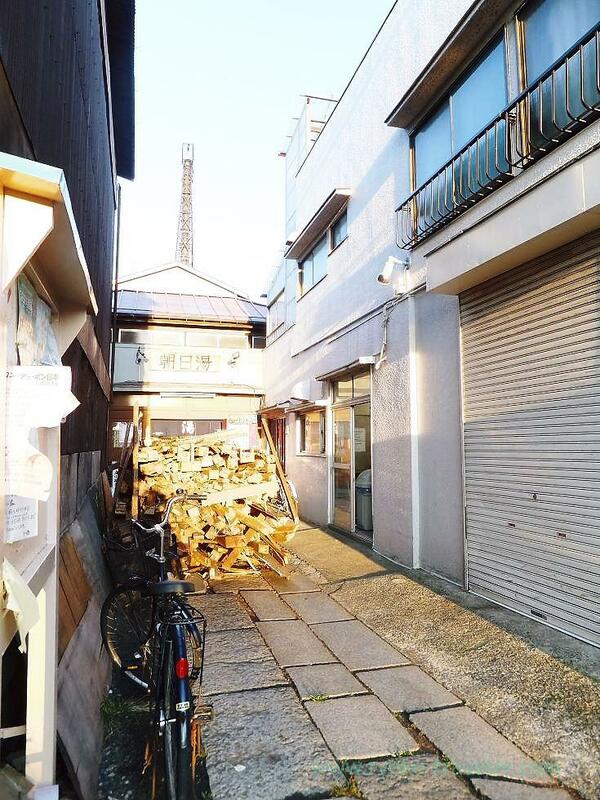 Fagots are piled in front of the sento. 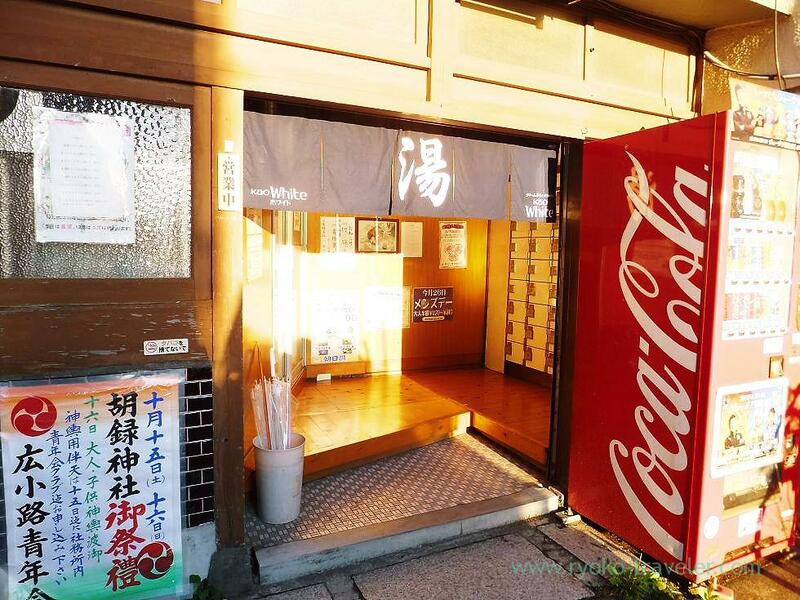 This sento is on a small scale, They seems to have made a front desk by constraint, and there is a small garden, so dressing room is very small. There used to be a sauna, so there is a water bath. A sauna still exists in men’s bath. They have a herb bath regularly. 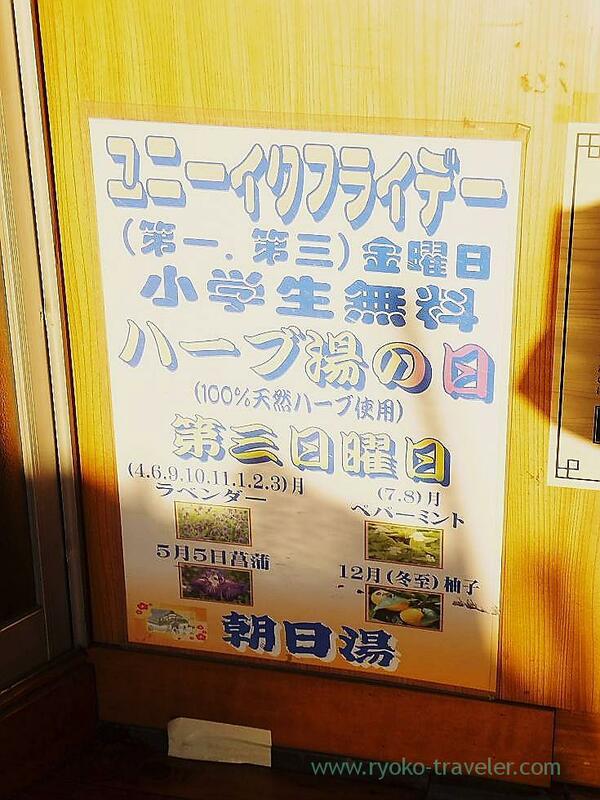 It is Yuzu bath during the month of December.